As we took to the streets here in the Philippines we came across a woman named Sister Jo. She was selling coconut juice near the church I was working with. It was our weekly house to house evangelism on a Saturday night around Christmas. We invited her to church, asked her if she knew Jesus, and if we could pray for her for anything. She began to share her story in tagalog, the local language, and started to cry. 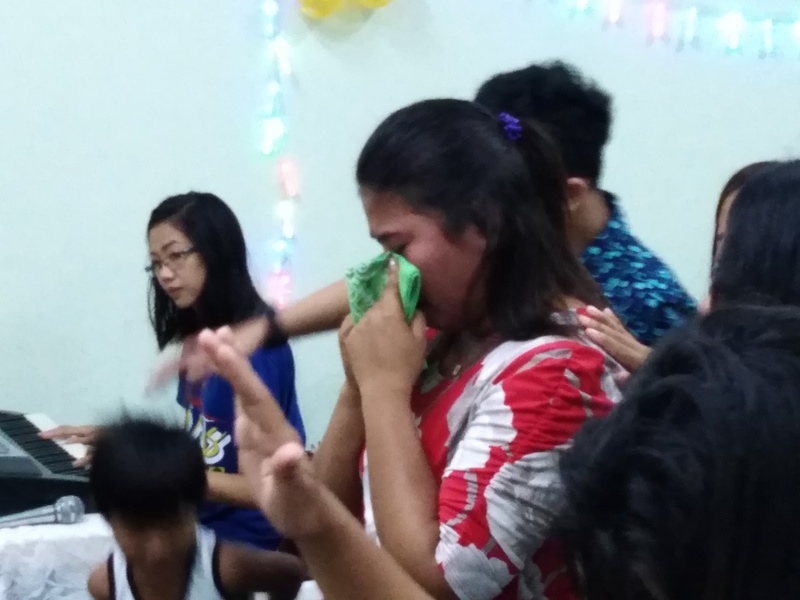 She was sharing how she had grown up pentecostal, but had not been to church in 10 years. Sister Jo went on to tell us how she had many problems. She was hurt by a man from her church which caused her to leave. Her first husband abused her physically and she was forced to seperate. She came to the church that Sunday for the first time in 10 years! Sister Jo came forward for the altar call that day, and again could be seen with tears in her eyes as she received prayer. She has continued to come back to church nearly every week since then, bringing her young daughter with her. We have visited her regularly, and gave her a Bible in tagalog since she had no Bible. A few weeks ago she was very happy to see us visit her. She told us she needed prayer because for 3 days she had intense stomach pain. We laid hands on her and prayed a simple prayer. Last week, she testified in front of the church how God had healed her of stomach cramps after we had prayed for her. God is so good! I love to see the power of God touching people’s hearts and bodies! I want to encourage everyone to get out there and share the gospel and you will see similar testimonies! Miracles follow the preaching of the gospel! Romans 1:16 and Mark 16. If you would like to know more about Tom and his ministry, Click Here.